Print : How Can You Miss Us if We Won’t Go Away? First things first: We’re keeping the Steelcase hot-seat red chairs. Forever. In fact, we own quite a few now. And we’ll still be scooping and reviewing all things digital right here, at this Web address, for a few more months. So, while we appreciate the teary farewells we’ve been receiving today across the Web, they’re premature — not by just months, but by many, many years. What are we blathering about, you ask? Well, earlier today, the owner of this site — the Dow Jones unit of News Corp — issued a statement stating that, by mutual agreement, the AllThingsD team and the parent company had decided to part ways when our current contract is up on Dec. 31. The separation impacts both this website and our suite of conferences, including the most famous, the D conference, which we built together from scratch — with a whole lot of help from our stellar staff — 11 years ago. That statement is true. But you, dear reader, can’t get rid of us quite that easily. First of all, this site will operate just like it does now until year’s end, with the same fantastic group of reporters, editors and business-siders, and helmed on a day-to-day basis by Kara. So, those of you who like it can take a breath, and those who don’t like it can turn that smile upside down. In addition, Walt’s long-running column will continue to appear in The Wall Street Journal, and here on AllThingsD, too, through the end of the year. Then, starting Jan. 1, 2014, we will still be Web-siting and conference-producing and much more, albeit under a new corporate structure with new partners and investors. While we can’t give any details yet — and there are details — you can assume that this new independent business will be laser-focused on continuing and extending Web journalism and conference journalism with the highest standards. Plus, we will finally be able to have added resources, so we can grow in new and exciting ways, including hiring more journalists and doing much more video. In addition, not only will Walt continue his reviews on the new site, but we’ll be adding more reviewers to our current superb group, to praise or condemn even more digital products. As for Kara, she will be continuing her famously fierce pursuit of the news, with an ever-growing team of major reporting talents like the ones we are so privileged to work with now. 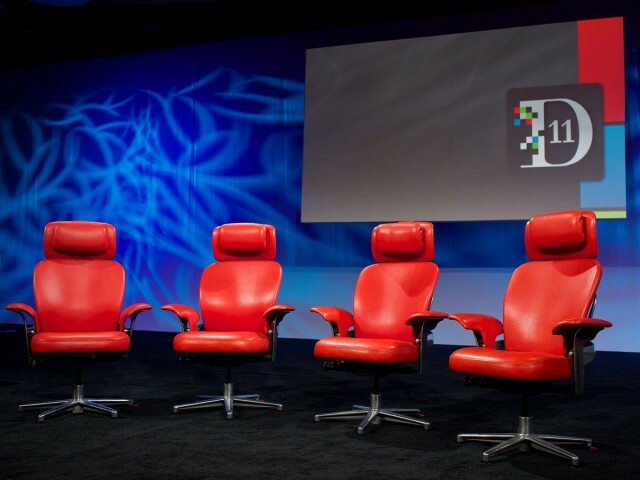 And those red chairs — the iconic seats in which every major tech and media leader has been grilled at our conferences for 11 years? We’re keeping them, because we will be holding our usual style of big, news-making conference in 2014, and many others, as well. We have truly valued our time at Dow Jones. That was due at the start to the amazing foresight of former execs like Paul Steiger and Gordon Crovitz, who deserve immense credit for the creation of the AllThingsD franchise. They, and many others over the years, have allowed us to create what we hoped would become the next version of ethically sound, fair, accurate and even enjoyable tech journalism for the new digital age. That was then, and this is now — meaning that it’s just about time for the next Next. But that’s three months away, so stay tuned for our usual daily dose of the best tech journalism our amazing AllThingsD team always serves up to you. It’s our pleasure and also our privilege to be able to do it. Return to: How Can You Miss Us if We Won’t Go Away?